gate48 is a platform for Israelis living in the Netherlands who oppose the occupation of Palestinian territories and call for its end. gate48 was founded in 2007 by three Israeli women, living in the Netherlands. We, members of gate48, see Israel as our home: we are connected to Israel by our families, the Hebrew language, the food, the smells and the landscape. That does not mean that we necessarily agree with our government at all times. As Israelis living in the Netherlands, we wish to convey that criticizing Israel’s official policy is not the same as being anti-Israeli. gate48 supports non-violent resistance to the occupation. We see the occupation as the main reason for human right violations conducted by the Israeli government against Palestinians, including home demolitions, restrictions of movement, child arrests and resource grabbing. We believe that security for both peoples can never be achieved by suppressing others or by hiding behind concrete walls, but only by ending the occupation. Respect for human rights and international law is the only basis for justice and for creating the possibility for a shared and prosperous future for Israelis and Palestinians. Two peoples who share the same land must also share equal justice and equal rights. 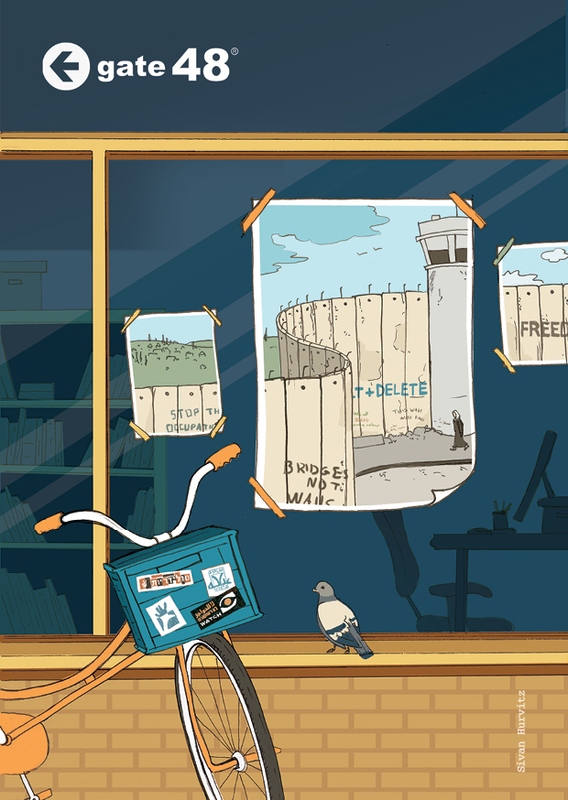 gate48 organizes activities in the Netherlands that provide a platform to people from Israel/Palestine who resist the occupation in non-violent ways. We organise public-meetings, exhibitions, screenings and lectures in the Netherlands and expert missions to Israel/Palestine. Our mission is to raise awareness in the Netherlands to voices and grassroot activities that are often left unheard, or considered marginal; voices and activities that refuse to accept the current reality as a given and that assert alternative ways of understanding and framing possibilities of resistance or change.